It was suggested that there might be some interest in news about Stan, so here is a thread for it. A recent French-language interview in l’Équipe was translated into English. The interviewer asked him to describe his thoughts during the final of Roland Garros 2015. It's a very insightful read. He's always a direct guy while being realistic and modest about his status, and he's becoming more confident about expressing what he can and cannot do on court vs the Big 4, so it was interesting to hear his unfiltered thoughts (albeit blurred by translation) about that day. He has definitely turned the corner from the crippling lack of self-belief he used to suffer from, before Magnus Norman. Translation of this article from l’Équipe web site, page 24-25 in the print edition of Saturday, 21 May. I have a very clear game plan, but it’s open to modification. I knew that with him there was no feeling-out round. The proof is the first game. I play incredibly, and yet I’m on serve. Djoko is a machine and the motor is already running. It’s a key moment. Novak broke me quickly because I was too hesitant. Actually, I haven’t let loose, really get inside him. I have a little mental block. When you’re behind in the score, when you’ve been broken , you always play a bit tighter. You look for something to come back with. But at 5-4, 40-15, I make two points that are essential to the story of the final. First, I make a passing shot. Then I win a point on a dropper. I end up losing the game, and then everything changed for me in my head, but I don’t know why. I feel I’m on the way, I’m there mentally. I needed some sort of small trigger to let loose. I found it there. The match really starts here. It was that game that gave me confidence for the rest ot it. Why? Because I did what I wanted to do at the start of the match. I want to push him, push him, and if he’s stronger than me, good on him. But I tell myself, I’m going to go and get this match. That’s how a lost game can be a release. From the start of the second set, I sense him starting to hesitate. If he’s hitting dropshots like that, it’s because he’s not finding answers from the baseline. He’s starting to back up on long rallies. At the start, each tried to impose themselves from the baseline. But I start to hit so hard and heavy that he doesn’t quite know what to do from the baseline. In fact, he’s being dominated, and he needs to change something. That’s true of all players who feel they’re being dominated. So, in the second set, he starts to hit dropshots. In the fourth, he’ll serve-and-volley to save break points. Sure, I see that as something difficult, but against Djokovic, you always walk a fine line. What I mean to say is, Djokovic is different: even when he isn’t playing as well as usual, he’s always present in the moment. That’s why he’s better than anyone else in the world. The sound my shots are making is huge. I’m playing with incredible pace. I saw the speed of my baseline shots: 145 kph, 150 kph, 160 kph … The set point, against a lot of players, I win it five times. But he’s getting all my shots back. At the end of the game, I’m at the point I was looking for: I managed to get ahead. I sense he’s nervous, but I’m not surprised: when I play well, I know I make him nervous. I’ve felt that before at the Australian and US Opens. He can’t be serene; after that game, he knows that I can be the stronger one. But it’s not the turning point of the match. Against him, as long as you haven’t won the final point, there’s no turning point in the strict sense. At 3-2 in the 3rd set, I hit a huge forehand and a backhand down the line. I start to really open the throttle. On top of that, Novak looks at his team with the air of someone asking, “What do you want me to do?” Later at 5-2, there’s the famous backhand from the corner … I say with all humility, it’s not an unlikely shot. After all, I’m four in the world, I’m the final at Roland, which means I’m playing very well. I see the hole and I go for it. I’m very far from the ball, but I control my slide really well to take the ball really low. It wasn’t lucky, I hit it to make it. Besides, three weeks later at Wimbledon against Verdasco, I did it again. It’s obvious now, I’m bringing the juice. But, before that hole shot, how many shots was I hitting in that zone at 150 kph? And then, the better you feel the more the ball gets close to the lines. It stays inside the court for a good reason: there’s no hesitation. Now I’m really on top of what I can do. That final, it’s the best match I’ve ever played in my career. I feel like a steamroller that wants to finish the job. Once you release the brakes, once you step on the accelerator you just play. I mean, you play the tennis you know how to play. I win the second set 6-4, the third set 6-3, and yet I’m behind 3-0 in the 4th! I said it before: against him, you walk a fine line. Instead of going down a level, he adds a level. But he submits anyway. You can hear it in his grunt. It’s not the same grunt as when he controls a point. The long thirty-shot rally, it’s to show him that I’m not letting up. I feel him tamed physically. His grunt is different – he’s trying to put extra into his shots. Winning that point makes me stronger. I want absolutely to stay in contact in the 4th set. I’m still on top, but I’m fried. There are long rallies, we hit, we hit, we hit … he starts to serve-and-volley, he’s at the net more often and I hit a passing shot to break him. I make a simple gesture, and in a half-second I’m already in my next service game. I’m very calm. I walk calmly to my seat. No need for a ‘come on’. After, it’s the last game … I’m serving for the match. And when I need to save a break-point, I don’t panic. I tell myself, ‘If that’s the score, it’s because you’re playing better than he is. At the worst, it’s 5-5. And so? Well, we’ll just start over.’ That frame of mind makes the difference. That detail is probably what bests sums up my final. I couldn’t have had a nicer match point to win Roland. Big serve outside, backhand down the line: that point sums up my whole game and the whole 15 days. Already before the Melbourne final, I asked myself what I’d do if I won. Roll around on the ground? Lie on the ground? Fall to my knees? And I did nothing. Afterwards, Gaël told me, ‘Sh*t, Stan! I was waiting for you to do something nuts and you did nothing. I’m crushed!’ I’ll never have an answer, but I think it’s just the way I am. My joy is enormous, but it’s internal. You can’t imagine it, but there are so many things going through my head … It doesn’t come out. And I would dream of rolling around on the clay and having a mythical photo taken. But that’s the way it goes … It’s not because of the way I was brought up, but because of the way I learned my tennis. I never dreamed of winning a Slam. Because I never thought I was as good as those who were there. I saw them all on the TV. To me, those who win Slams are monsters. I have a lot of emotions during the ceremony, but it’s the same thing, I don’t show them. Maybe except for when I lift the trophy. Because, still, it’s THE moment. @junior74 You might enjoy this read. He keeps a lot bottled up inside and he has a temper and fiery streak - typical of an Aries, if you believe in astrology haha. But yeah, I think those qualities are in part where he gets his strength and explosive game from, which is a good thing, but on the downside it's also why he's inconsistent as well. An interesting read and perhaps one day after his career is over he might want to write a book or memoir covering all his thoughts and feelings on his journey. Wawa believes there's more to accomplishments than just slams. Or he's just heaping some pressure on the Muzziah! That was great! Loved reading it. I disagree, I think he answer the question regarding career achievement up to now: Murray is in a different category. He will knows he will beat him tomorrow though. Muzz is used to the sly Swiss trash talk before big matches He ain't falling for it. I placed $20 bucks on Wawa defending his title. PLEASE LET IT HAPPEN. It's kind of interesting/sad to see what tour life is like for the Top 20/30 guys, who have relatively good runs in tournaments only to crash into the Big 4. That RG win over Tsonga was epic, though, and this also shows the first time he won Chennai. I wonder what happened with Stan and Lundgren. From these clips (especially the third and fifth ones), it looks like they got along really well as a team. He always wanted to work with Magnus Norman, though, so maybe they just mutually agreed to end it. I think it was around this time that Magnus and Robin Söderling parted ways. Magnus has said that he made it a point to speak with Severin Lüthi and Pierre Paganini about Stan but has never spoken with Lundgren. I really liked his response. The media keeps asking him about it and trying to build this "new Big 4" or "Big 5" narrative, and he's having none of it. He's happy being where he is--as he said it recently, "just below" those big guys. Able to beat them, on his day, but not one of them. I get the sense that he has a lot of respect for Andy. Underdog position fits him well. Stan has added Richard Krajicek to his team! ^^ Yes, it was all over the sports sections of the papers over here. Interesting combination of characters, a sensitive player and a blockhead coach. I wonder how it'll work out. I am telling you, Wimbledon was always the goal for this year. I wouldn't mind it coming to be. It would be one of the craziest things if he made it happen! There was an interview last year after RG, where someone was asking him if there's any big title he still wants, and he said "Wimbledon" (apparently in a hesitant manner, like he was afraid to make it explicit). He must really want it. It makes sense, even though he's never excelled on grass, since his childhood idol was Pete Sampras and he has also long idolized Fed. What have you predicted for Wimbledon @Hitman, or should I dare to ask? 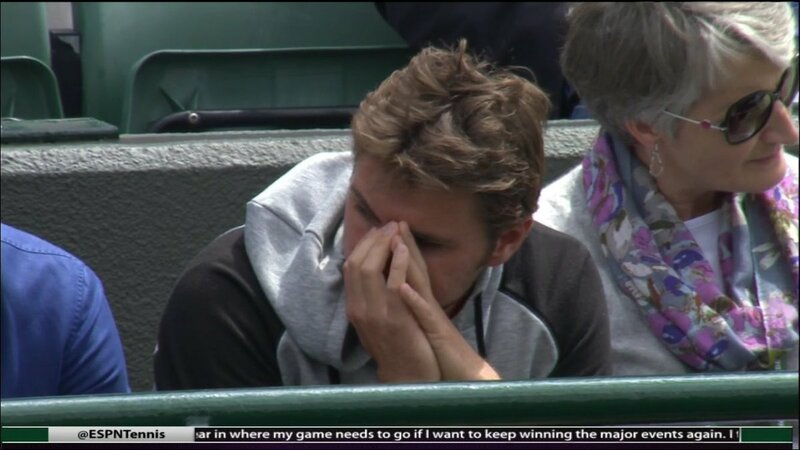 Krajicek must understand that Stan is 12 years old in his mind and has the attention span of a bored puppy. (If you follow him on snapchat, this becomes painfully clear. lol ) Then he might make some progress. Well yes, a rather blunt guy like Krajicek might just be what the doc ordered for Stan. Kraj for sure has many talents, but subtlety isn't one of those. He's mentioned earlier this year as well a couple of times. I like that mindset. Early Hitman prediction...He is going to make a very significant impact this year. Interesting addition. I actually think one of Stan's biggest problems and it showed in his SF against Murray is his 1st serve percentage. 44% it was in first set and that is almost suicide against a returner and quality player like Murray. Once he got to 59% in 3rd set he was able to stay with him quite well and nabbed the set. FYI. His 1st serve percentages were insanely high for his standards against Ultron in last years FO final - high 60's. Hence yes, it was the match of his life, particularly in the serve department. He really needs to do something about that serve, perhaps Krajicek can help? Magnus is still the main coach, so that's a relief. I never saw Stan as one of the players who would add-on a specialist coach the way some players do, but maybe that's just the way things are happening now in tennis. I don't know, but I have a feeling that Magnus might have suggested something like this, since (if I recall correctly) he was never a fast court guy himself. Dang, I was having fun with the "natural Stan slam" meme but fully ready for it to crash in a few weeks. Now I have a tiny blip of hope! And that is how big things always begin...from something very small. 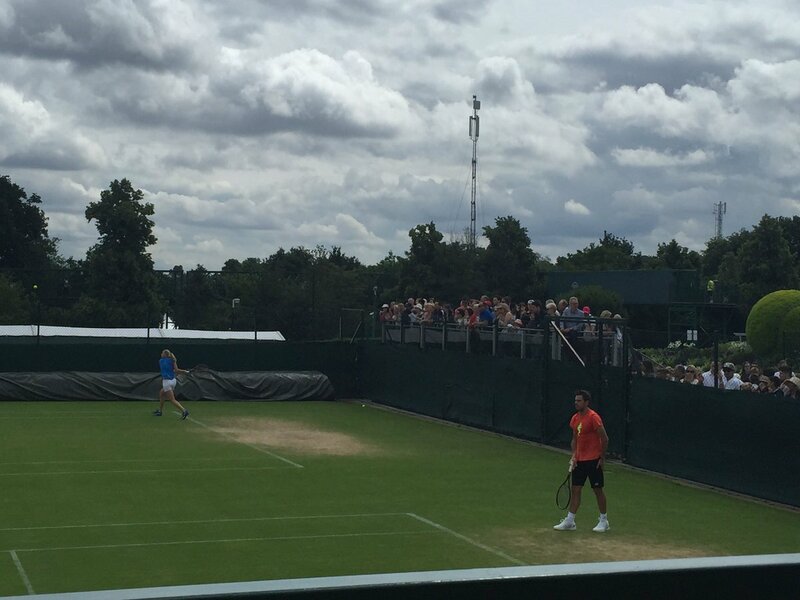 Krajicek was pretty much a specialist on grass, with a huge serve - and Stan could do with a bit of improvement on this matter, as @TennisFollower already said. Could well be that Magnus suggested him, indeed. Or maybe they got connected last year in Rotterdam? FYI on Stan's serve. He made some adjustment to it going into early 2013 - his toss is more in front of him as opposed to it being more going behind him and to the side (look at some older videos of his highlights). Even some commentators noted that and the change resulted in some extra speed/power to the serve getting it into the 210's km/h and he has even served over 220 km/h at times. The average percentage is pretty lousy though. For someone who will never have an excellent defensive game due to his stocky build and as he gets older, the more freebies/un returnables/easy put aways he can get off the serve more consistently the better. Stan & Novak have never played each other on grass... it's bound to happen! Don't be surprised if the heavyweight champion runs into the Stanimal on Centre Court this year. Well grass is his worst surface so I could see why he added Krajicek if he has dreams about Wimbledon. It will be extremely tough though. He will have a hard time with Federer, Djokovic, Murray or others on that particular surface. Must be Czech connection between them. Maybe Stan aims Wimbledon. Now I got really excite! I'm still hoping for them to have a 71-69 epic at the AO. It would be nice if they could meet in the AO final once, after their recent history there. A slam final to put the 2012 final to shame. Both guys lying down in the trophy presentation! Totally unexpected. As a fellow Dutchman I am pleasanltly surprised. Go Stan! Krajicek was interviewed about the new partnership, and what I can gather (courtesy of Google word salad) is that Magnus is the one who contacted him to be Stan's "grass coach," and that he's there to help Stan with little adjustments, including his serve and net play. 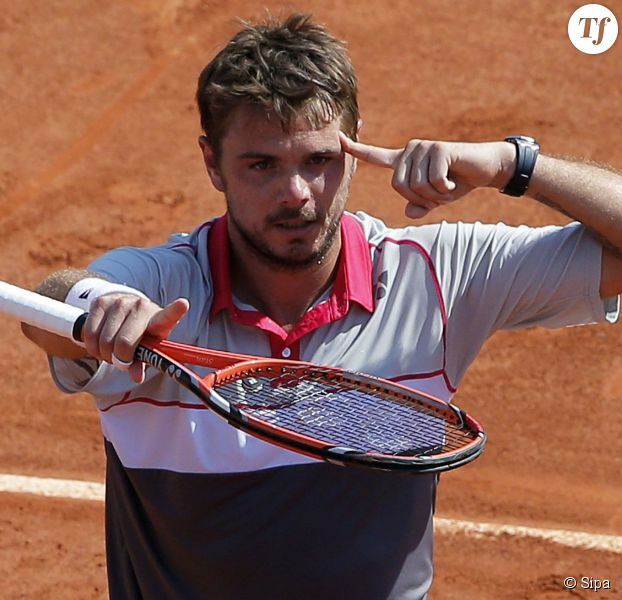 His intention isn't to turn Stan into a S&V specialist but to adapt Stan's own game to grass. I also gathered that this collaboration may extend into the US Open and up to 22 weeks of the year, depending on how they hit it off. I think they're already together at Queens, in preparation for that tournament. Magnus is still Stan's main coach (he also travels with Stan only part time; the rest of the time, Stan is either alone or with his coach/friend/support group Yannick). If anyone speaks Dutch, please feel free to correct anything I've gotten wrong. Short interview at Queens. He discusses Krajicek, among other things. Confirms that it was Magnus' idea to partner up with him. Also, true to pattern, he's taking it little by little, just hoping to always improve his game. Pierre Paganini, when did you work for the first time with Stan Wawrinka and which was your first evaluation of his physical potential? I met him for the first time in July 2002; he was Roger Federer's "sparring" (partner) during a training in the national center. Stan and Dimitri (Zavialoff, his trainer and trainer, today coach of Timea Bacsinszky; editor's note) came then more and more regularly to Bienne. And if memory serves me well, I would say that we began to work on a regular basis in 2003. Of his debut, I especially keep in memory a wild will. Stan was almost stubborn, so much did he volunteer. He showed impressive consistency in his will. It is above all the relationship in work and effort that struck you? You know, the relationship to the effort is not just the physical difficulty or pain. It also involves the fact of concentrating more, of agreeing to redo an exercise, to collect the idea of a difficulty coming. It is in these situations that we distinguish the true determination. Because with Stan, neither the volume nor the complexity nor the intensity is ever questioned as a matter of principle. He obviously lived some days harder than others. But Stan drew a line, and he moved forward. He consumed the exercises to the point that we could have believed that he would not ask any further questions. That was totally false. Stan asks many questions, but he prefers to work first and then question. It is this consistency which had struck me and which can be summarized as: Stan brought together all possible types of willingness. A mixture between denial and total commitment. "I decided that I want to make it," and then there are more parasite (? follow-up?) questions. Paradoxically, the people who possess a strong personality--and this was already the case despite his timidity at the time--are often able to do and to listen to before judging. In contrast to those who want to know everything before even having achieved something. Stan was interviewed before Wimbledon and spoke about Krajicek, clarifying again that it was Magnus' idea and that the goal is not just to hire a grass specialist for Wimbledon but to improve his game overall. The reason they chose the grass season is because of the length of time in one spot (his rented house). He doesn't think of the past few weeks with Krajicek as giving him a power boost for Wimbledon, but, as he puts it: "I think the last few years I started to play my best tennis on grass. I know I can play my best game. Hopefully I can do something big this year." Per Swiss Tennis: Stan and Fed will be playing doubles in Rio. As of now, Stan isn't playing mixed doubles. 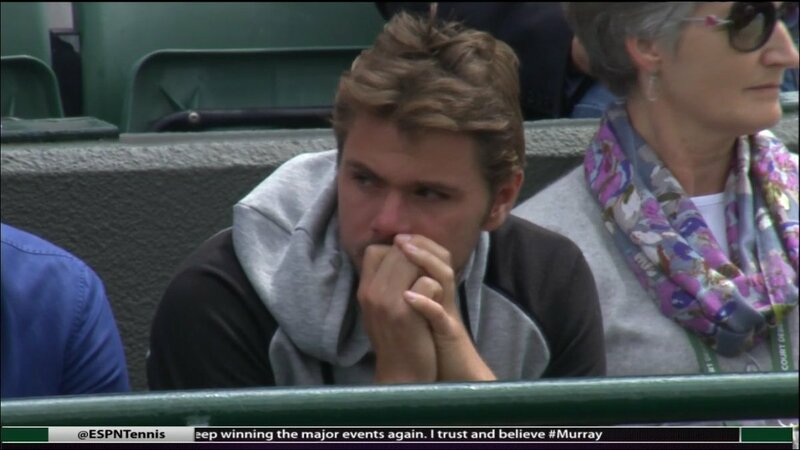 He was at Donna's match today (vs Venus, who won). Lately, he's been attending her matches whenever possible. I still feel a bit weird about their relationship, knowing that it likely dates back to when Stan was still married to (through apparently estranged from) his wife. Sometime in 2014, I think. But on the other hand, it's nice to see this side of him! The supportive boyfriend. Stan was cheering on his home team during its recent match vs Poland (tweets 1, 2, 3), but it didn't end well. When they lost, all he posted was a single word. Sadly, he has since deleted that tweet. Fortunately, nothing dies on the internet. He is good friends with Johan Djourou and sent him a nice tweet a little while later. 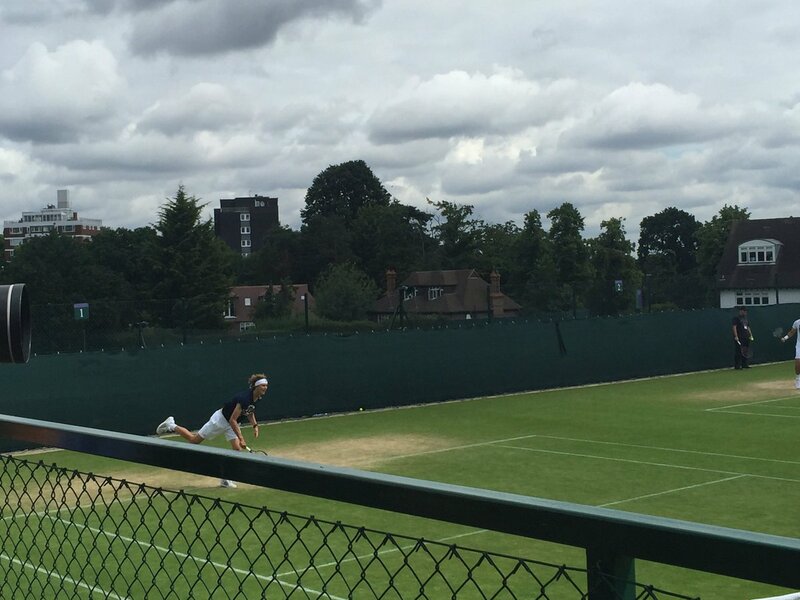 He's also practiced with Novak since arriving at Wimbledon. They seem to try to practice together at every tournament. Good friends. Nah. Kraji full time is the ticket and jettison Norman. Its Thiem to do this. LOL That's never going to happen. Stan has been after Magnus since Magnus was still an active player! He's not going to fire him. I'd say the Wawa-Nole friendship has grown and blossomed with their rivalry in slams. Since this is Wawa news, there was this nice interview where he talked about his friendship, tennis and also Novak. Stan should retire and take care of Vecik's future. That's a great interview, thanks! Haha, that "Optimist" section could almost be a response to the debates that happen around here all the time. I love how he talks about his friends in tennis; I've noticed that a lot in his demeanor when he's lost a match to a good friend--he doesn't seem bitter. Like when Mahut won his first title at s-Hertogenbosch, beating Stan, Stan looked as happy as if he'd won the title. I'm glad he can turn it on for himself in some of the big moments, but I also like that gentler side of him. but nothing like their hug after the AO 2013. I think that match took everything to another level. That's when they started playing doubles together, I believe (in 2013 and 2014). I hope they can complete their Career Grand Slam someday. Need a 5-setter at RG and a 5-setter at Wimbledon to feel right. Plus a 5-set final at AO where it all began, finishing 19-17 or something, but that's all wishing for the moon, I know. He's still professionally hungry. Not thinking about retirement at this stage. Stan and his matches have been the most entertaining and nail-biting for me over the past 3 years now. And Stan - Novak only need 2 more matches to get into the top 20 of rivalries by matches played. Currently at 23 matches played, 25 gets them into T-16! 26 into T-13... Can't believe they've played this much. It's infact the most played rivalry for Wawrinka (even more than he's played Fed)... whereas it is Novak's 5th.